Saxe-Weimar. Wilhelm Ernst gold Ducat 1717 MS63 NGC, Km148, Fr-3032. Commemorating the Bicentennial of the Reformation, this beautifully preserved ducat engages the eye with phenomenal detailing across the illustrative motifs and full mint luster that easily brightens from the recesses. 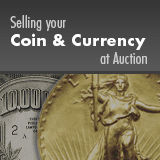 Noted as a singular issue, and at present time, the only certified example by either PCGS or NGC, with little evidence of another example of the type being offered in the recent past. The deeply impressed designs beg for closer inspection, and reward the viewer with pictorial images that rise to full completion--the candle with rays above and an open book atop an altar--which pay homage to the Reformation two hundred years before.